If you haven’t seen the latest Nintendo Direct, or rather, the Smash Bros. Direct from 4/8/14… well you are missing out. The half hour long presentation has taken the Nintendo community by storm! New game footage and details have been revealed about the upcoming Smash Bros. games for Nintendo Wii U and Nintendo 3DS. There is just TOO much to hype about in the upcoming Smash games!! So many new Pokemon playable characters, the Animal Crossing Villager character, new stages, new Final Destination stage options, new game modes for the 3DS version… and the graphics for the Wii U version are just so fantastic, I can’t get over it! If you haven’t checked out the Nintendo Direct, watch it here. Even if you’ve never played Smash Bros. before, now is the time to get into this franchise. The bad news is that we have to wait. 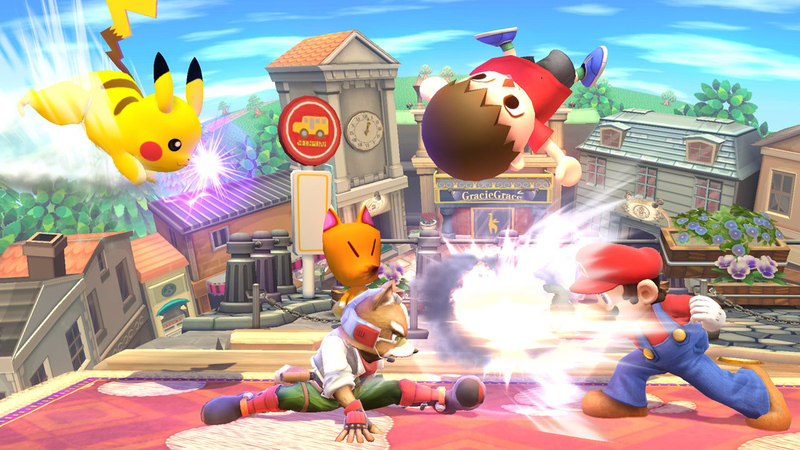 Super Smash Bros. 3DS won’t be released until this summer. The Wii U version is slated to be released this WINTER (holiday season no doubt) so we have a while before that new challenger will approach. Not to mention we don’t have any actual concrete release dates. I hate that! My main worry is that the Wii U version will eventually be pushed back to 2015. Fingers crossed that the developers stay on schedule. Super Smash Bros. is going to be huge for StreetPass communities, and I can’t wait!! So what am I supposed to do until then? Lots of cool games are coming out in May as well. Namely, the awesome new Kirby Triple Deluxe and Mario Golf are both slated to be released early May. At the end of May comes Mario Kart 8 for Wii U, which also looks to be AMAZING. Sweet HD graphics on Rainbow Road? Yes please!! So hopefully all of those new games will tide us over until the release of Smash on 3DS later this summer. I know I barely have time to play the games I have… I bought Yoshi’s New Island recently and have barely had a chance to play it because I’m still backlogged! I was rushing to beat Pokemon X before the PVGC, but now that the big competition is over I can put Pokemon down for a minute. What I really want to do is finish Zero Escape: Virtue’s Last Reward which I had rented from GameFly. I’m like half way through it so that’s my goal. And if you are wondering… I have NO idea how I am going to manage 3 ACNL towns as well as Disney Magical World. I haven’t even played ACNL in over a week, I’m sad to say. There are just not enough hours in the day! I’m hoping I will make some time to play games this weekend, even though I will be in Boston for PAX East.